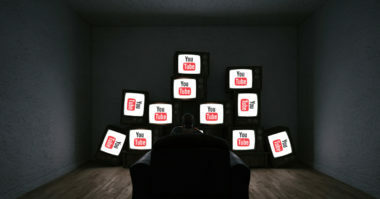 YouTube has already captured the majority of audiences looking for online video viewing, industry experts say that it could be time for the video channel to set its sights on the traditional TV viewing experience. By utilizing parent company Google’s quality collection of data and technology, YouTube could develop its own TV streaming service and gain control of TV’s enormous ad dollars. Business Insider shared an expert opinion of how YouTube could become the company to watch for TV streaming. The industry has been buzzing that YouTube could already be developing its own TV streaming service. According to reports, YouTube is in the midst of creating a paid TV service that would let viewers watch YouTube videos on their TVs, laptops, smartphones, and tablets. YouTube would face tough competition since Hulu, Sling TV, DirecTV, Amazon, and others either already have or are working on TV services of their own. According to industry experts, the lack of geographical barriers, along with low service switching costs and limitless advertising possibilities would make the effort extremely worthwhile for YouTube. YouTube will just need to be aggressive in its marketing and pricing to stand out from its TV streaming rivals. One way for YouTube to gain a competitive advantage would be by eliminating the technological hassles and headaches of other TV streaming services. See, most of today’s services are prone to technological glitches that lead to confusing error messages or total blackouts. If YouTube could apply its extensive knowledge of both online video and live online streaming to their TV service, they could bring a whole new level of ease to the TV streaming experience. This could earn them significant market share. Even though there are already numerous TV streaming services, there’s still a huge consumer demand. Consider the amazing growth of DirecTV Now, which attracted an additional 200,000 paying subscribers after being in business only a month and facing regular technological problems. This shows that there is plenty of room for YouTube to pick up an impressive audience, especially if they could reduce the technological frustrations that plague other streaming services. Since it’s incredible easy for subscribers to cancel their current service, YouTube has unlimited opportunities to enter into the market and steal viewers away from their many competitors. Of course, it would take some time for YouTube to make its streaming service pay off. The opportunity for profit will actually come from the fundamental shift in the way that TV advertising works. At the beginning, YouTube would have to follow in the footsteps of other TV networks that sell the majority of their ad inventory to promote their own shows. But over time, Google’s wealth of user data would allow it to monetize its ad inventory for higher ad rates than other networks. Once YouTube captures a larger share of total ad inventory, Google would be able to manage the entire ad selling process and turn the networks into mere content suppliers. If Google can play it smart with YouTube’s TV steaming service, it could gain control of all the TV ad dollars available. Catch the latest in digital marketing. Contact MDG Advertising.